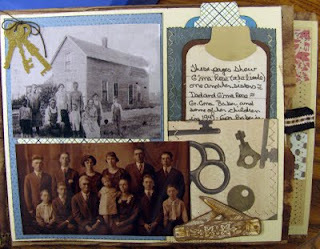 Today, I decided to work some on my paper sack heritage scrapbook. Since it is made from paper sacks there are pockets for journaling pages to be placed in when it is folded and put together. The pics are some older ones from both sides of the family and newer ones, too. I have included pics of only a few pages. The ribbons sticking out from the sides are attached to journaling pages in the pockets and some pages have little pockets on them for journaling or holding whatever. The edges of the bag are inked and there is quite a bit of sewing involved on the pages to put everthing together. How bless you are to have so many precious pictures of your family, it's priceless. Your layouts really enhance the pictures. susie i relish this idea...do you sell them? redorgrayart, no I haven't thought of selling them. Perhaps that is something to think about. Thanks for visiting my blog. 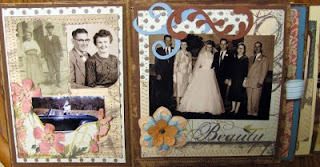 Your heritage scrapbook is beautiful. 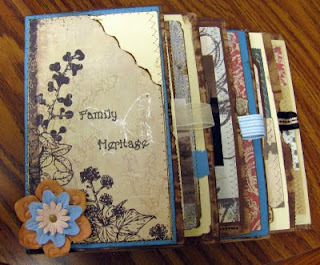 What a beautiful scrapbook - so unique and cool, different from normal scrapbooking! wow...this is really cool. gets me inspired to get out my old photos. thanks! 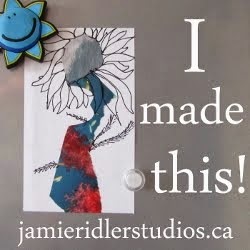 What a keepsake you have created! It is beautiful.